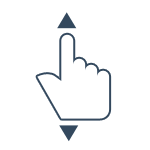 The Rotate Entity lets you rotate 3D Document Nodes within a 3D Scene using mouse or touch input. The Rotate Entity can be combined with the Camera and Pan Entities to create custom Cameras inside a DriveWorks 3D Document. As well as Cameras you can also Rotate any other Node within a DriveWorks 3D Document. 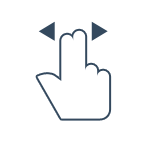 This means that you can have basic interaction with a 3D model using your mouse or touch input. Enable and disable the Rotate Entity. Disabling the Rotate Entity means that it won't affect the Node it is applied to. TRUE to enables the Rotate Entity, FALSE disables it. Inverts the direction of every Input Axis on the entity. TRUE to invert the direction, FALSE to maintain the current direction. 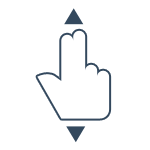 Enable and disable limits on the X Axis. TRUE to enable limits, FALSE to disable. X Center is the center point of the defined limits. X Clockwise and X AntiClockwise start from the X Center. The units for this property are in degrees. Define the degree of rotation in the AntiClockwise direction. This degree of rotation starts from the X Center. The units for this property are in degrees. Define the degree of rotation in the Clockwise direction. This degree of rotation starts from the X Center. The units for this property are in degrees. 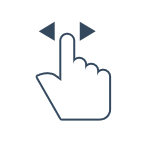 Select an input method for this Axis. You can chose from 5 input methods. 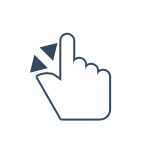 Each method has a mouse gesture and a touch gesture. See below. Enable and disable limits on the Y Axis. TRUE to enable limits, FALSE to disable. Y Center is the center point of the defined limits. Y Clockwise and Y AntiClockwise start from the Y Center. The units for this property are in degrees. 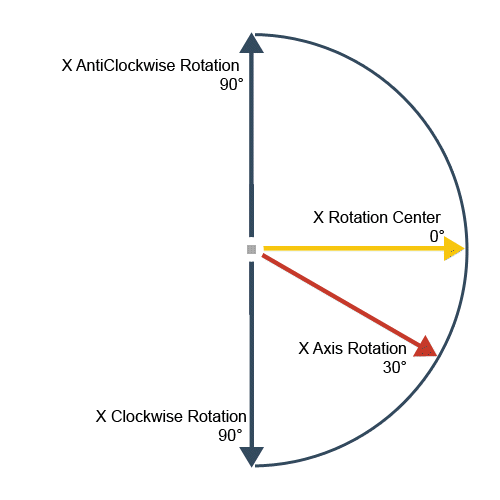 Define the degree of rotation in the AntiClockwise direction. This degree of rotation starts from the Y Center. The units for this property are in degrees. Define the degree of rotation in the Clockwise direction. This degree of rotation starts from the Y Center. The units for this property are in degrees. Enable and disable limits on the Z Axis. TRUE to enable limits, FALSE to disable. Z Center is the center point of the defined limits. Z Clockwise and Z AntiClockwise start from the Z Center. The units for this property are in degrees. Define the degree of rotation in the AntiClockwise direction. This degree of rotation starts from the Z Center. The units for this property are in degrees. Define the degree of rotation in the Clockwise direction. This degree of rotation starts from the Z Center. The units for this property are in degrees. 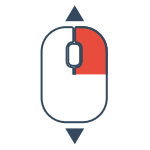 Rotation Speed controls how quickly the Rotate Entity reacts to the input methods. 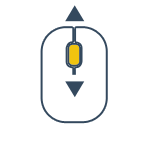 Reducing the speed will mean you have to move your mouse for longer to rotate the Node. Rotation Smooth Speed is the speed at which the model slows to a stop. A slower Smooth Speed causes the model decelerate slower. It smooths the transition of the model from one place to another. Rotation Limits are extremely useful. If you are setting up custom cameras you may want to limit the users interaction with the camera and how far they can rotate. 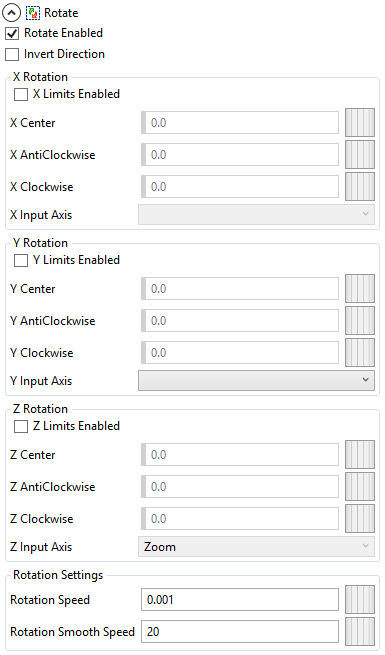 Limits on each axis let you specifically control each direction of movement and limit the rotation to only certain axis. In this example, the Node the Rotate Entity is added to has a rotation of 30 degrees. The X Center is set to 0 degrees. The Clockwise and AntiClockwise limits start from the Center angle. So in this case, they both span 90 degrees. One in the Clockwise direction and one anticlockwise. The Node will therefore start at 30 degrees and will be able to rotate 60 degrees in the Clockwise direction and 120 degrees in the AntiClockwise direction. If the nodes transform is rotated outside of the limits, then the Node will be moved back into the bounds of the limits set. In this second example, we have now moved the X Center angle to be 45 degrees. The Clockwise and AntiClockwise limits still remain at 90 degrees but you can now see how that affects our end limits. The Node will still start at 30 degrees but now it can only move 75 degrees in the AntiClockwise direction and 105 degrees in the Clockwise direction. You can clearly see how the Center property affects the starting point of the limits. The same principle applies in all Axis and their limits. 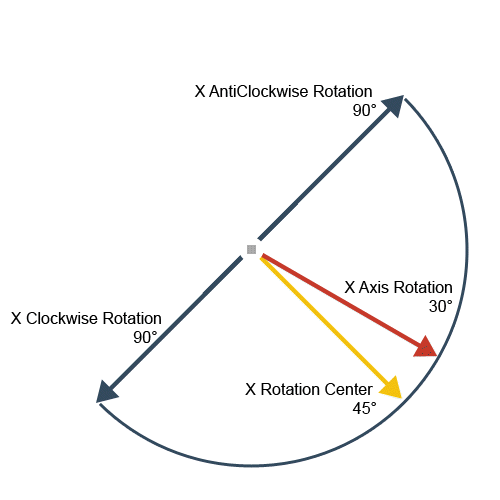 If Clockwise and AntiClockwise limits meet or overlap in their angles then the user will be able to rotate 360 degrees. DriveWorks does not limit the number of rotations that can be performed. The default Rotate Entity speed is 1. 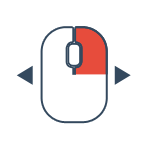 This translates to 360 degrees per 500 pixels moved by the mouse. If you have a flat model that is 200mm long and circular model that has a 200mm circumference, you want the circular model to perform a full rotation over the same distance as the flat model pans. The Pan Entity will move 1000mm over 500 pixels. The Rotate Entity will do 360 degrees over 500 pixels. To get the Rotate Entity to do 360 degrees over 200mm it needs to be 5 times faster, you can set the speed to 5. This results in the flat model moving 200mm and the circular model rotating 360 degrees in the same time frame, giving you a rack and pinion. The Rotate Entity can be used in conjunction with Rules. However you may not receive the behavior you expect. A Node containing Position Rules and a Rotate Entity will behave in the following way. If the model is Rotated (Rotate Entity) then it will Rotate from the Nodes current position. If however, you Rotate (Rotate Entity) the model then use Rules to Rotate the model. The rotated (Rotate Entity) position will be reset to the Static and Dynamic Transform positions. The Rotate Entity and Static and Dynamic Rules do not combine in a cumulative way. To achieve this, you will need to have two Nodes. One with the Rotate Entity and one with Rules. 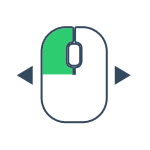 If your Primary mouse button is set to Right, then the Right mouse button will become the Primary. 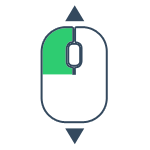 The Left mouse button will become the Secondary.